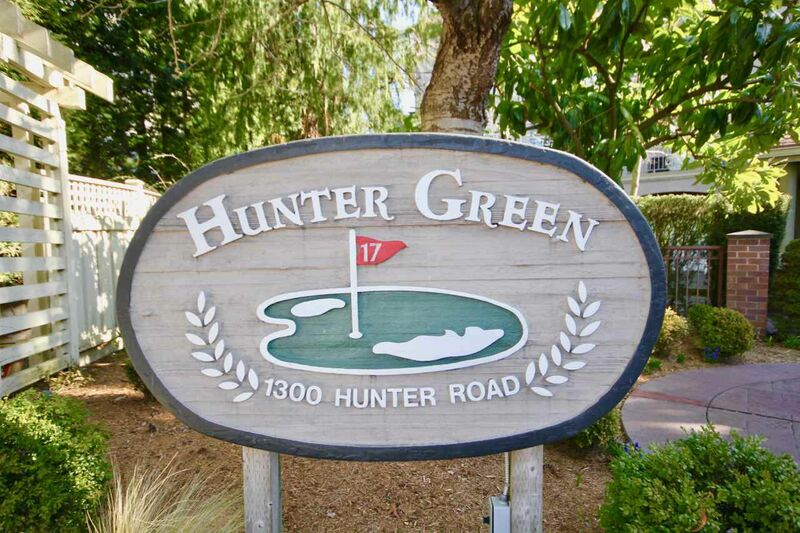 Spacious one level, extra bright, quiet corner unit in Hunter Green! This home can accommodate all your furnishings with its large rooms. Updates to the kitchen, bathrooms, flooring, lighting, paint, alarm system and window coverings! This building has no rentals allowed, so you have peace of mind that your neighbours have "pride of ownership" as well! Walk to the town center, library, restaurants and shopping....or relax at home on your own private, sunny south west exposed patio; ask about the "secret garden" overlooking Beach Grove Golf course!